Improving the visibility in the app stores is a clear and primary goal of app developers. With the number of apps available in the major stores growing exponentially, and mobile devices covering bigger shares of consumers, new ways of app discovery had followed. 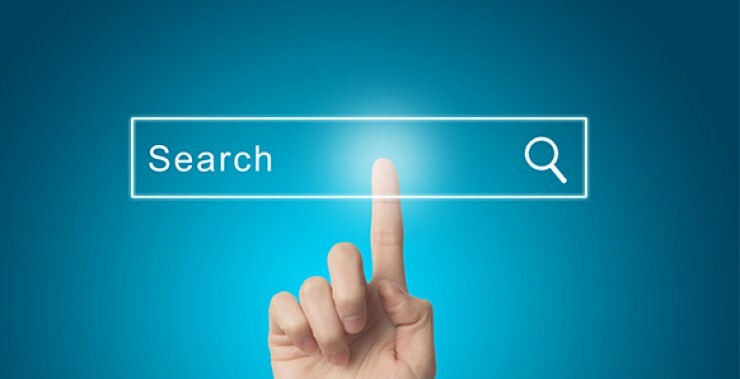 The users won’t only look for the new apps in the stores – they would also use a traditional web search. So if we want users to find our app on the mobile search, we have to start thinking in SEO. According to the recent studies, there are 27% of users who discover apps while browsing search engines with their mobile devices. That makes nearly one third of apps that are discovered outside the app store! Mobile web search has a growing importance and can’t be ignored by app developers and marketers. 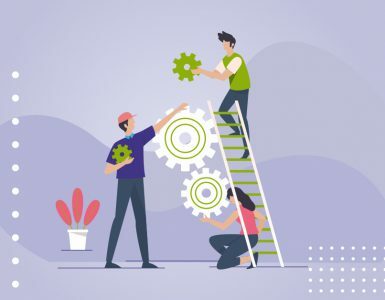 In this article we will see how to merge your ASO efforts with SEO strategy, talk about App Packs and see how to track and optimize the SEO of your mobile app or game. In the never ending fight of the apps to maximize visibility and get more installs, the mobile search has now a growing priority for app developers and marketers. Appearing in web search engine results pages (SERPs) has become another goal to achieve. Otherwise you might be losing one third of the app downloads that you could’ve had! Following the change in consumer search patterns, Google has tweaked its search algorithm accordingly. It doesn’t anymore treat mobile and web search results similarly without emphasizing the difference between them. 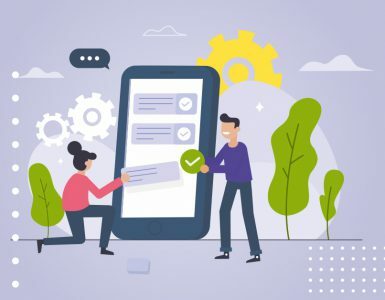 It begin with adding an option for an “App” in the search tabs for mobile devices, and followed by introducing device-specific App Packs into mobile SERP. And as we know, where there is search engine, there is a Search Engine Optimization (SEO). And there comes a growing need of mobile publishers to optimize their apps for achieving more visibility in app-specific search results. What is a single snippet? A single snippet is usually a result of a search for an app (brand), however it can show up with some app-specific searches, together with the App Packs. It can include 3 or 6 apps (or more, then there is a possibility to expand this list) relevant to the search keyword. App Packs are usually featured at the top of the SERP, however can also appear in the middle or in the end. Each app card contains an app name, icon, rating and price. The results are device-specific: if a user has been searching with an Android phone, it will get the App Packs result with Google Play Apps, and if he was searching with an iPhone or iPad – that would be app product pages on Apple App Store. Searchmetrics has found out that now one in ten mobile searches includes an App Pack. And this is just a beginning – every day more and more apps get concerned with their visibility in mobile search, and start implementing a SEO strategy alongside with their ASO. App Packs are usually displayed when the users look for an app or a task that can be performed by an app, like: “photo editor”, “kids games”, “drawing apps”. Optimizing for this kind of search is a bit different from both traditional web SEO and ASO that is familiar to us. The algorithm that Google uses to suggest and rank apps in the Mobile SERPs is different from the one used by the app stores, so the keywords rankings for the app won’t be the same on Play Store and in the web search. However there are similarities in the ASO and SEO optimization techniques and ranking factors, so if an app is ranking high on the app stores, it will most probably also rank well for the similar searches on web. On-page factors: URL / package, App Name / Title, short and full description. For the iOS apps the description doesn’t impact ASO, but has an effect on SEO. Off-page factors: user reviews & ratings, installs volume and velocity, backlinks from authority websites. Already excited? Let’s see how to make your app or game rank in mobile web search. There is nothing from another world – you just need to follow the basic ASO processes, enhance your metadata to make it work for web search, and get powerful backlinks. 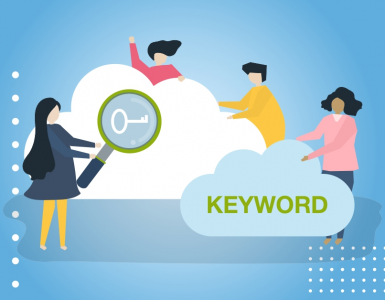 The method of keyword research and choosing the right keywords to work on is basic: select the keywords that have a high estimated traffic (amount of searches) and low competition. Read more about boosting downloads with Keywords Optimization in our blog, and follow these advices to identify the keywords of your project and place the core ones in app name / title, and add the rest to your app description, to cover the metadata that will affect SEO. To analyze keywords for ASO of your app, use our keyword research tool, and for the web search you can use SEMrush, Keywordtool.io or other similar tools. User ratings and reviews matter a lot for both ASO and SEO for apps. And that happens for several reasons. Firstly, because Google, just like the app stores, tends to rank higher the apps with more and better reviews and high average rating. Second point is that Google search engine will crawl user reviews to identify possible keywords. Usually the more weight is given to the keywords from the top of the page, so constantly encourage your users to leave positive reviews! Last, but not the least important point of having a positive user sentiment and a great number of ratings and reviews, is that it will help convince new users to try your app. Thus, the click-through rate and conversion rate of your listing will grow, and more downloads will follow. Having high-quality backlinks is an essential part of an effective SEO. In case of mobile web search, what we want to promote is an app store listing, or a download page. Start from adding a link to your download page from your website, and try to get different media talking about your app. The domain strength is the key here, and the more quality backlinks you have, the higher Google will rank your app in search. Try to add a link to your app store download page in the header of the mobile version of your website, or build a dedicated landing page to promote your mobile apps. Mention your best features and benefits – encourage your web users use your mobile app as well! This way you will get more installs, thus more user ratings, and higher ranks in mobile search. As you see, what Apple provides is just a bunch of generic data about web referrers, which makes it difficult to track SEO performance, as it is impossible to see the keywords that your app is ranking for in search result pages. Unfortunately, Google doesn’t yet support adding iOS apps to the Search Console to obtain more data, but hopefully it will be possible in the future. For Android apps we have much wider area for action, and we can track SEO with 3 tools: Google Play Console + Google Search Console + ahrefs (or similar). UR: URL rating of your app – the higher it is, the more visibility in mobile web search. DR: Domain rating (the domains of Apple and Google that are hosting your app are super-powerful). Referring domains: number of unique referring domains. Organic keywords: number of keywords ranking top 100 for the app. Having visibility not only in the app stores, but also in mobile web search is essential for apps or games that want to grow their installs and revenues. Nearly one third of all the apps are discovered outside the app stores, in mobile search and in App Packs. SEO for apps is becoming omnipresent and, just like ASO, it is a long-term process of constant improvement, tracking and optimization. Don’t ignore revamping your keywords, strive for more and better reviews and ratings, and focus on getting high-quality backlinks to your download page, and your app will be ready to get discovered in all possible ways! Keywords: Where To Find And How To Use Them? Check this out for half price! Keyapp.top Gives New Users A Special Promotion Strategy! Promotion Start: Where Do You Begin? Our platform will help you in ASO promotion of your Android applications. We offer keyword rank boosts and application installs worldwide. How to pick the best App Keywords? FAQ: How to rank for the keywords I’m not ranked for?